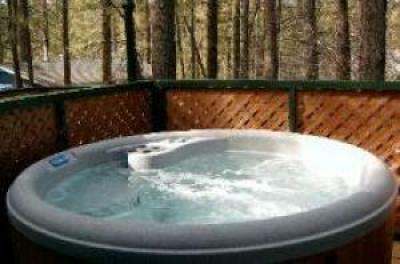 Hot Tub on Large Deck. phone, your 800 credit card will work for long distance calls. blankets. You will need to bring your own sheets and towels. chairs and BBQ and a private Hot Tub. Take the kids sledding right across the street. It has Texas Hold'em Poker.